How is the atonement sufficient for salvation according to Calvinists? 1) The atonement is sufficient for salvation. 2) If Christ shed his blood (made atonement) for all men, then all men would be saved. 3) It is not the case that all men are saved. Therefore, Christ did not shed his blood for the sins of all men but for the elect only. In light of many clear and explicit Bible verses which state that Christ did, in fact, taste death for every man, all men, whole world, etc, Arminians typically state that the atonement was made provisionally for all men at the cross, but it only becomes effective if/when one believes. It seems like the Arminian agrees with the first premise of the limited atonement argument -- that the atonement is sufficient for salvation. In order to avoid universalism, the Arminian is forced to conclude the the blood-atonement is merely provisional rather than actual. But what if both Calvinists and Arminians are wrong on this point? Is it possible that Christ made actual atonement for all men, but not all men are saved? What is the basis for arguing that the atonement is sufficient for salvation? Do Calvinists use biblical arguments, and, if so, how do they deal with all the Bible verses which clearly state that faith is necessary for salvation? If not, then what argument can a Calvinist use to support the doctrine of limited atonement? This is a very old debate, and I remember this and other questions from my Bible College years as a student. God is a choosing God, and that not all are destined for salvation seems quite understandable despite the atonement of Christ being sufficient for all. I think it unwise to say that if writings we have constituting the Bible (library) does or does not mention something specifically then it is or is not true. I believe we forget sometimes that until the reformation, these writings that are held in such esteem now played no part in a believers life. It was the often ignorant, uneducated and debauched clergy who told people what God had said in these writings, what they meant and what He demanded. As soon as the reformation took hold in many places in Europe and the papacy was "dethroned", to fill the void left by papal authority, Bible literature was given a status that remains to this day in that most non catholic groups hold it as the absolute be all and end all of Christian authority. Catholics hold to this also but equally with church tradition. My question by way of answering you is when has God ever been anything else than a choosing God as seen in the scriptures? A God who decides what is to happen and ensures that it does happen? Jesus was asked by those close to Him when would He stop teaching in parables? He said parables are so you can understand, but not these around us "less they turn to me for repentance".Christ was selective not universal in his ministry. He talked to Pilate but not to the Idumean puppet king Herod who had Johns head removed you will notice, but why if not selective.Did God not intend for Herod to repent? As believers in this world of trouble our job is to tell all about the good news of Christ, so that "many are called', but then knowing 'few will be chosen". Incredible don't you think that those destined for salvation were listed in the book of life "before the foundations of the world". People as yet unborn had there names down already, and were not dependant on their own feelings at the time they heard the message of Christ eons of time later. They were destined and pre ordained to Salvation. God never instigated the Gospel atonement, and then left it in the hands of sinful people to accept or reject! As it is written, faith itself is a gift of God and if not given it is impossible to come to Christ. This is Election. John Calvin was outdone by those of like mind who came after him, and many subsequently went further than he had gone sadly, and all that they said has been tagged under the term "Calvinism". Calvin did say that when a person is converted and born again, it is because that person has received a "dose of irresistible grace". In my own life I can attest to that as true. My brother whom I loved dearly was told the gospel many times and to him it remained as fairy tales, and he died early in life unsaved. No dose of grace for him for some reason not understood by me, but God is God and makes some crockery for destruction, and we don't like it much that He does. This is a wonderful subject that we are not capable of saying any one of us understands completely, but it has never surprised me that God saves some, but that He would save any at all at such mysterious cost to Himself. In all my life as a Pastor and Bible college teacher I have seen God touch people and leave others in stoney disbelief, and it continues on! This is Him doing what He wills to do, and the word fairness has no part in it. God is not fair, He is a theocrat, albeit a benevolent one. How wonderful He is that His ways are not mine, because I would not have saved me on the cross! Not the answer you're looking for? 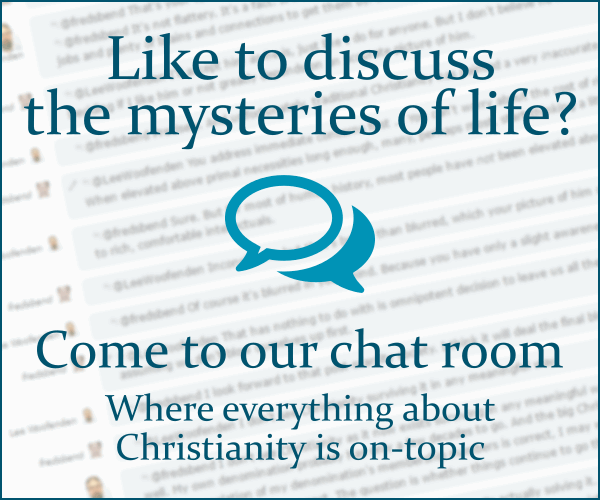 Browse other questions tagged biblical-basis soteriology reformed-theology atonement limited-atonement or ask your own question.